There were four main winners in the battle over 19th Amendemnt. Of them, the second biggest winner was President Sirisena who was able to retain much of his power while balancing adroitly between the two contending components of his power base: his ally the UNP and his party the SLFP. The biggest winner however, was not President Sirisena. It was a dead man, President Junius Richard Jayewardene. His 1978 Constitution proved so robust a structure, that it successfully resisted the joint attempt of his distant nephew Ranil Wickremesinghe and his old rival Sirimavo Bandaranaike’s daughter Chandrika Kumaratunga to upend its center-piece, the executive presidency. The Supreme Court put paid to most of the clauses which attempted to shift power and authority drastically from the Presidency to the Prime Ministership. 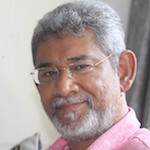 The Opposition, whose numbers were large enough thanks to JR’s electoral system of proportional representation, put paid to Ranil and Chandrika’s effort to surreptitiously embed unaccountable “civil society” in a crucial role determining role behind the scenes in the Constitutional Council. 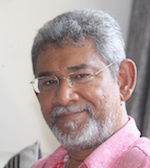 The third biggest winner of the battle of 19A was former President Rajapaksa, whose loyalists in the Opposition were able to wage a bitter rearguard action which prevented an SLFP sell-out to the Ranil-CBK program and create a momentum which helped or caused President Sirisena to play a balancing role rather than act as a straightforward ally of his fellow troika members. The Opposition was also able to avoid the error of being seen as a wrecking crew; as spoilers. Instead they played the role of constructive critics and tough negotiating partners. The parliamentary debate saw the SLFP-UPFA drawing together, and resisting Ranil Wickremesinghe while not wrecking 19A. With the seemingly solitary exception of Rajitha Senaratne, the CBK doctrine of the SLFP in collusion with Ranil was eclipsed by the resurfacing of the old contradiction between the UNP and the SLFP/UPFA. The modest, one might say marginal shift of power and authority to the Prime Ministership resulting from 19A can only benefit Mahinda Rajapaksa, should he become the PM. Indeed the “Premier Stakes” (to borrow the title of a classic of Sri Lankan political writing) assume a greater salience now than at any election since 1977. This cannot but benefit Mahinda Rajapaksa. The last of the winners was Prime Minister Wickremesinghe, whose original plan was discernible in the draft that he submitted, the sections that were struck down by the Supreme Court and those that were removed by the resistance of the Opposition and the concurrence of President Sirisena. The power shift that has occurred is minimal, falling far short of what Ranil attempted and he was compelled to retreat in his neoliberal Constitutional power grab. However, he has a fairly handsome consolation prize, in that he is able to share credit with President Sirisena for a process of reformist change. The Biggest Losers were ex-President CBK and the TNA. CBK was the patroness of the cosmopolitan civil society version of the 19th amendment. 19A was the child of CBK’s Constitutional revolution, a ‘born again’ neo-liberal big bang to blow up the Executive presidency. JR Jayewardene’s Constitution has thwarted her over and over again—her Union of Regions package (1995 and 1997) and her draft Constitution. It was her Constitutional Grand Vizier, Dr. Jayampathy Wickramaratne who produced the draft which was gutted by the Supreme Court this time around. The TNA and the civil society cohort which hoped to manipulate the state by slipping into the Constitutional Council have wound up the least successful. Ranil and Chandrika produced “19A Plus”, which has been downsized to 19A Minus. The struggle over 19A was a classic of parliamentary negotiation. The outcome is an updating, not an upending of the Second Republican Constitution of 1978. It slims down the executive presidency without disemboweling it as Ranil, Chandrika, the TNA and JVP wished or retaining it in its swollen form as did the Rajapaksa regime. It is a much needed overhaul of the executive presidential System, but by no means an overturning or overthrow. One may regard it either as a drawn game—a stalemate which reflects the actual balance of political forces—or, more optimistically, as a modest corrective, a win-win outcome consonant with the national interest and people’s sovereignty. Necessary Ethos For Reconciliation: Paththini Or The Buddha?